Welcome to my podcast for English Language Learners. 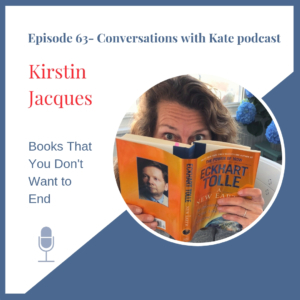 Improve your listening comprehension by listening to my conversations with guests from all over the world. I created this podcast for English language learners who want to feel comfortable in English conversations for business, travel, or pleasure. 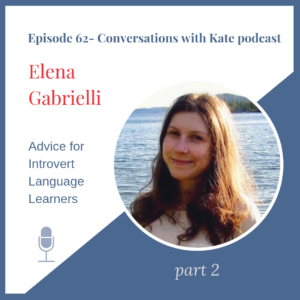 By listening to real conversations between me and a native or non-native English speaker, you will improve your understanding of different English accents, connected speech, and you’ll learn interesting things about people, language and travel along the way. One of my regular listeners wrote to me about her experience. 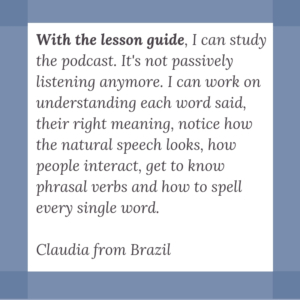 Read Cláudia’s full testimonial here. Scroll down to see all of the episodes and for information about subscribing on iTunes and Pocketcast. To listen, click the arrow. To listen on Soundcloud and access the notes for that episode, click on the title. Become a Patron to download transcripts and lesson guides. Click “sign up” at the bottom of the page for FREE lesson guides and transcripts each month. 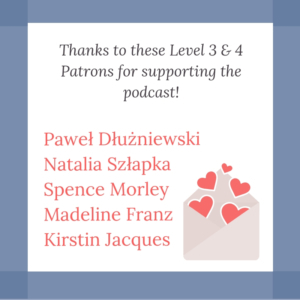 If you’d like to support the podcast, check out my Patreon page and community or contribute directly by clicking the RED Patron button at the top of the page. You can also learn more on the blog.